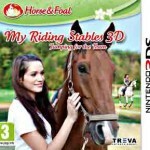 Tags: Dressage, Feed your horse, Girl, Grooming, Horse breeding, Horse competitions, Horse farm, Horse jumping, Horse racing, Take care of horses, Train horse. In this game there’s one thing that immediately pop’s up and makes it different from many others: the theme. 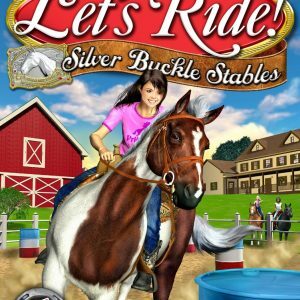 Usually in horse games there are a lot of games with an English style with tournaments of dressage and such, but in Silver Buckle Stables you’ll find a western theme everywhere. When you’re customizing your character you’ll notice that the clothes will make you feel like a cowboy or a cowgirl, you can even have one of those hats and a shirt with a checked pattern. How awesome is that? Pretty much if you ask me because I was really amazed with the level of customization in this game. You can even choose the shape and size of your chin, eyes and head. 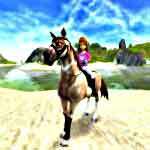 When it comes to choose your first horse you’ll get to customize, beside others, its coat color and pattern and make some wacky combinations that look very nice. When you arrive to Silver Buckle Stables you’ll be responsible for the grooming of up to four horses. There’s actually not much care that needs to be done, you just need to wash and brush your horses between competitions and keep an eye on the hunger, thirst and care meters because if you don’t the horse will get sick. Outside the stables unfortunately there’s also not much to do. You can choose between taking one of your horses for a ride on the fields or going to a tournament –and that’s the focus of the game. 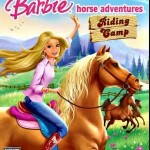 You have four skill levels and in each competition there are several events that mostly consist in controlling the horse between poles, around barrels and jumping over barriers. The main objective is to achieve the best time in each event to earn the blue ribbon and place first in the end. 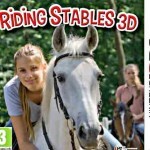 Although the game isn’t’ particularly difficult, it’s very entertaining and appropriate for children up to 8 years. After some time playing, you’ll probably find the game too repetitive because you’ll have the same 7 events in every competition; it just increases the difficulty and the scenario. 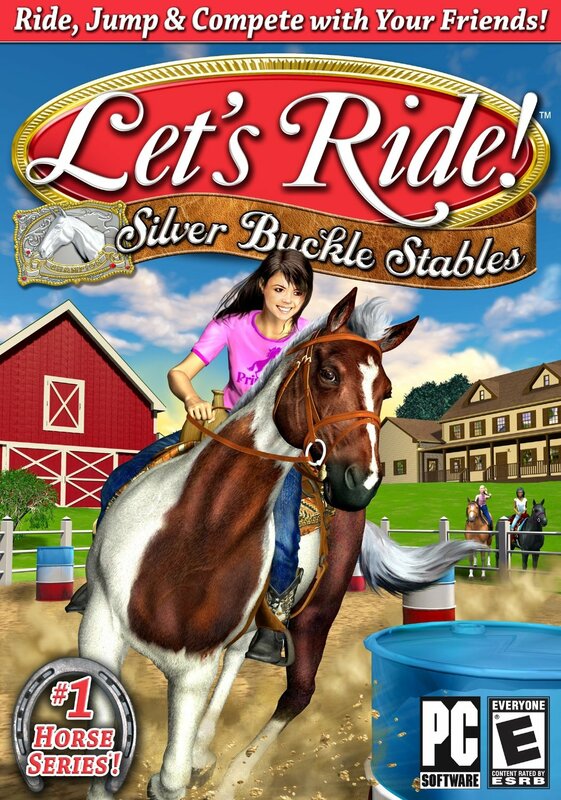 So, this game is great if you’re a little kid looking for a simple videogame where you can have some fun. Don’t expect much of the graphics or the gameplay because they’re very simple. Just enjoy the free 60 minutes of gameplay and see if it is the appropriate game for you. i got this game !!!!!!!!! is this game demo ? ?